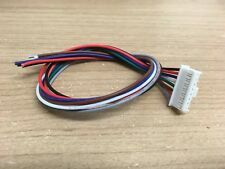 GENUINE MOMO AIRBAG RESISTOR WIRE. Supplied with Momo's airbag type steering boss kits, used to extinguish the airbag warning light as necessary. Where suitable this is a universal component and will enable you to achieve the desired effects on most vehicles. 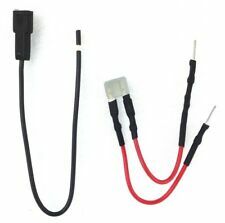 High grade power wire can be used for most k-series cars. It is designed to connect from the fuse box to the alternator. Ensure both sizes work for your application before purchasing. - Products that are ordered in error or that you changed your mind on will be entitled to a credit note at our discretion. Spruce up the engine bay with new wiring covers and conduit. With new parts your 3.2 will once again have the shine back with new brilliant bright red parts. Why not treat your TT to original oem parts. Subject of sale: Wiring Harness. INTERIOR COLOUR:Unknown. BODY STYLE:Estate. BODY STYLE. Subject of sale: Wiring Harness. INTERIOR COLOUR:Black. ENGINE NUMBER:039595. ENGINE SIZE:1995. Subject of sale: Wiring Harness. INTERIOR COLOUR:Unknown. ENGINE NUMBER:58257B. ENGINE SIZE:2488. Subject of sale: Wiring Harness. ENGINE SIZE:1598. ENGINE NUMBER:026977. INTERIOR COLOUR:Unknown. Item will be sold as it is shown in the pictures (you will receive exactly what you can see in the pictures). MAKE: VAUXHALL. MODEL: INSIGNIA. Our warranty covers parts only. All claims under this warranty will be subject to a full investigation by our technicians. All engines and gearboxes are tested prior to sale (unless sold as spares or repair). Subject of sale: Wiring Harness. INTERIOR COLOUR:Unknown. ENGINE NUMBER:95714D. ENGINE SIZE:1461. DTA S40 splice loom for sale. 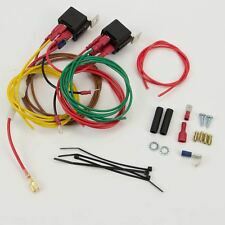 This is a pre-pinned wiring loom kit for the DTA S40 ECU. 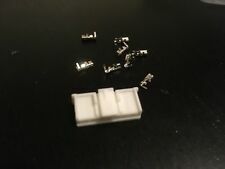 • 1 DTA S40 connector shell. 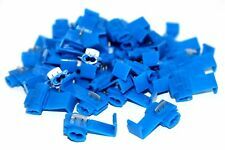 • 1 twisted pair shielded crank wire (shield connected to blue core which is ground). Model: QASHQAI. 24010BR07A DASH LOOM. Part: Wiring Harness. Nissan Specialist Dismantler. Manufacturer: NISSAN. Up to 12 months warranty. Body style For parts incorrectly supplied or unwanted parts we must be notified within 48 hours. Model: 370Z. Part: Wiring Harness. Nissan Specialist Dismantler. Manufacturer: NISSAN. Up to 12 months warranty. INTERIOR N/S 24017-1EL0A-A6. Interior colour: Black. FITTING SERVICE AVAILABLE 12 MONTH WARRANTY ON LABOUR. Subject of sale: Wiring Harness. INTERIOR COLOUR:Unknown. Item will be sold as it is shown in the pictures (you will receive exactly what you can see in the pictures). ENGINE NUMBER:045620A. ENGINE SIZE:0. Number Plate Fixings. Fitting & Integration. Car Audio and Electronics. Motoring Hardware > Electrical Connectors, Wires. Trailer Parts. Towing & Trailer. Trailer Boards. Car & Van Panel Filters. Number Plate Fixings. Wheel Tyre Care. This will constitute rejection of the order and will thus cancel the contract of sale. Fitting & Integration. Car Audio and Electronics. Motoring Hardware > Electrical Connectors, Wires. Number Plate Fixings. Wheel Tyre Care. Fitting & Integration. Car Audio and Electronics. Motoring Hardware > Electrical Connectors, Wires. Trailer Parts. Towing & Trailer. Trailer Boards. Wiring Grom 4mm & 5mm. Number Plate Fixings. Fitting & Integration. Car Audio and Electronics. Motoring Hardware > Electrical Connectors, Wires. Trailer Parts. Towing & Trailer. Trailer Boards. Number Plate Fixings. Leak Stopper Cans. Anti Freeze. Technical - Safety Information. Product Data. Fitting & Integration. Car Audio and Electronics. Motoring Hardware > Electrical Connectors, Wires. H4 Headlamp Amp Bulb Plug. Number Plate Fixings. Swirl & Scratch Removers. Leak Stopper Cans. Fitting & Integration. Car Audio and Electronics. Motoring Hardware > Electrical Connectors, Wires. Car & Van Panel Filters. Number Plate Fixings. Leak Stopper Cans. Anti Freeze. Technical - Safety Information. Product Data. Fitting & Integration. Weight (Grams): 19. Car Audio and Electronics. 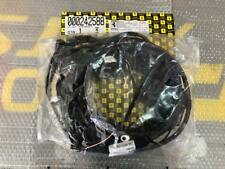 For Sale is an Undeployed Main Battery Cable Lead removed from a 2002 BMW 3 SERIES E46 316ti 3 Door Hatchback. Please see item description for more information, you will receive everything you see in the images. Headl Amp Plug H7. Number Plate Fixings. Leak Stopper Cans. Fitting & Integration. Car Audio and Electronics. Motoring Hardware > Electrical Connectors, Wires. Car & Van Panel Filters. Trailer Parts. Subject of sale: Wiring Harness. INTERIOR COLOUR:Unknown. ENGINE NUMBER:123623. ENGINE SIZE:1461. Our ground wire kit includes two 11" long ground wires. These are great upgrade for old corroded and worn grounds. You want to run one from transmission to chassis and engine to chassis. SKU (Product Code)KTH-GWP-011. Subject of sale: Wiring Harness. BODY STYLE. BODY STYLE:Hatchback. Item will be sold as it is shown in the pictures (you will receive exactly what you can see in the pictures). INTERIOR COLOUR:Unknown. For Sale is a main car wiring loom. Removed from a 2017 ASTON MARTIN DB11 5204cc Petrol 2 Door Coupe. Please see item description for more information, you will receive everything you see in the images. – Reflex reflector. – Indicator – Illuminates centre section. – Stop & tail lamp – Illuminates upper third and lower third. Lots of applications lorrys, trucks, HGVs, recovery vehicles, buses, trailers, kits cars, vans, caravans etc. ENGINE 24012 BF27A. Model: JUKE. Part: Wiring Harness. Nissan Specialist Dismantler. Manufacturer: NISSAN. Up to 12 months warranty. FITTING SERVICE AVAILABLE 12 MONTH WARRANTY ON LABOUR. Subject of sale: Wiring Harness. ENGINE SIZE:1461. ENGINE NUMBER:97476. Donor car INTERIOR COLOUR:Unknown. Item will be sold as it is shown in the pictures (you will receive exactly what you can see in the pictures). Subject of sale: Wiring Harness. MODEL:X TRAIL INTERIOR COLOUR:Unknown. ENGINE NUMBER:C274788. ENGINE SIZE:1598. Subject of sale: Wiring Harness. INTERIOR COLOUR:Unknown. ENGINE NUMBER:D047680. ENGINE SIZE:1461. Used for tap and parallel splicing. No stripping or twisting, just squeeze. Electrically connects a (tap) wire end through (run) wire and insulates the connection. 27 amp max. For general-purpose electrical connections on auto, boat, van or trailer. Used for tap and parallel splicing. No stripping or twisting, just squeeze. Electrically connects a (tap) wire end through (run) wire and insulates the connection. For general-purpose electrical connections on auto, boat, van or trailer. Features a bayonet coupling with lever that locks the 13 pin socket to the vehicle. Universal adaptor is ideal for connecting trailer and caravans with 7 pin connectors. We will always help you to have a 100% positive happy buying experience. Subject of sale: Wiring Harness. INTERIOR COLOUR:Unknown. ENGINE NUMBER:986884. ENGINE SIZE:2488. 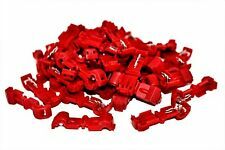 Red 0.5mm PVC Stranded Automotive Wire Cable 28/0.15mm 50M Reel. Subject of sale: Wiring Harness. BODY STYLE. BODY STYLE:Unknown. INTERIOR COLOUR:Unknown. ENGINE NUMBER:142205. ENGINE SIZE:2953.